This was a great game. 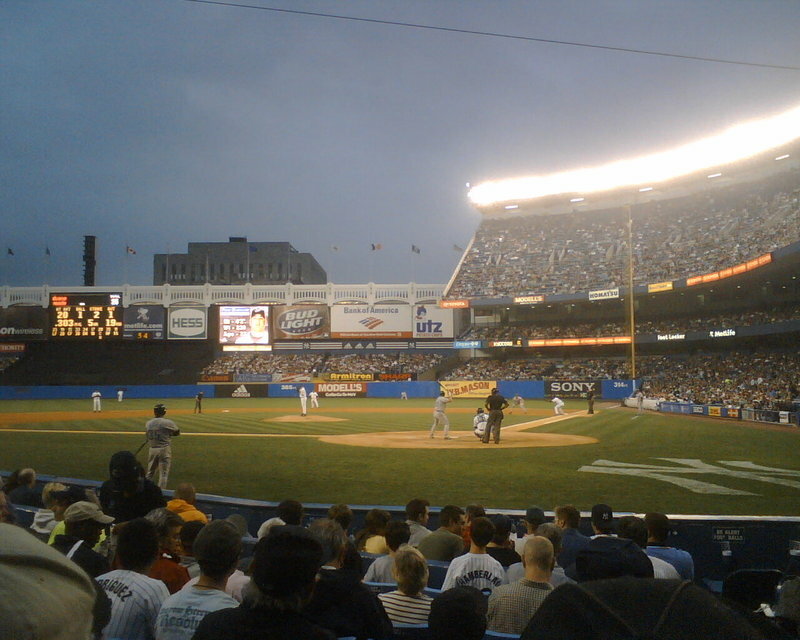 We saw Derek Jeter pass up Mickey Mantle's 3rd-place record for most hits with the Yankees (only Babe Ruth and Lou Gehrig have more), Mussina pass up the 7th-place record for most strikeouts with the Yankees, and we saw some great plays and got to see the Moose AND Rivera pitch. Oh, and our seats were stupid good. It was awesome to see such a good game in the last regular season at Yankee Stadium.